The driver accused of ramming into dozens of people on the Las Vegas Strip Sunday night will be facing a murder charge. The driver was identified Monday as 24-year-old Lakeisha Holloway from Oregon. She faces a murder charge, while the district attorney is considering attempted murder with a deadly weapon, child abuse and leaving the scene of a crash charges. According to Las Vegas police, Holloway drove a 1996 Oldsmobile onto the sidewalk between the Paris hotel-casino and Bally's hotel-casino at 2 different locations. She was found outside the Tuscany hotel after driving a mile on a flat tire, according to police. She told a security officer that she had just hit several people. Holloway told police she was trying to sleep in her car with her daughter but "kept getting run off by security of the properties she stopped at," according to her arrest report. She told police she ended up on the Strip, "a place she did not want to be." Holloway would not explain why she drove onto the sidewalk. Metro having trouble getting background on suspect. For that reason, they can't totally rule out terrorism, but they don't think it was. Video from strip properties, LVMPD cameras, and witness lead Metro to believe it was intentional. Police said she was homeless and had been living in the Oldsmobile for about a week before the crash. Holloway's 3-year-old daughter who was in the car is at Child Haven. Police believe the child's father is in Dallas, Texas. 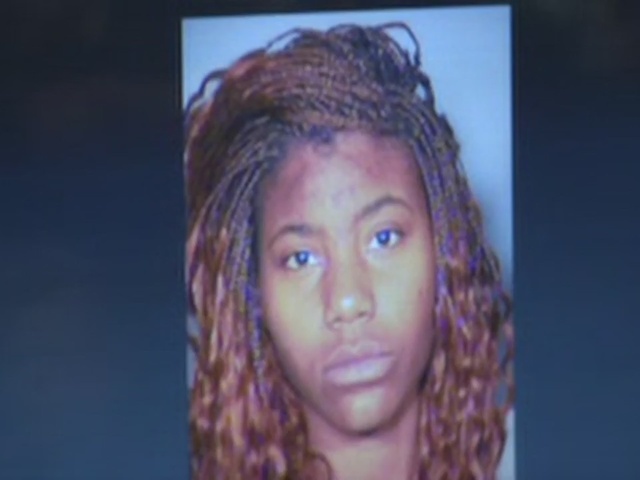 According to police, Holloway was "stoic" upon her arrest and didn't appear to be distressed. #BreakingNews #StripCrash DA @Sheriff_LVMPD Lombardo: "She didn't appear to be distressed- that's the best way I can describe it." One person died. Jessica Valenzuela, 32, was from Buckeye, west of Phoenix, Arizona. A GoFundMe account has been set up for what friends are calling a mother of three and wife. There were 37 total victims, from Florida, Washington, Oregon, Colorado, Quebec and Mexico. Victims were transported to University Medical Center, Sunrise Hospital, Spring Valley Hospital and Desert Springs Hospital. Nevada Gov. Brian Sandoval visited Sunrise Hospital Monday morning, where five remain out of 13 total at that facility. Four are in fair condition and one is in good condition. "I am very appreciative of the fine work of Sheriff Lombardo, the entire Metropolitan Police Department and the Clark County Fire Department," Sandoval said in a statement. "I also want to recognize the calm professionalism of emergency room and medical personnel at hospitals throughout Las Vegas. We are all shocked and saddened by this tragedy, but we can be proud of how Nevadans responded when duty called. The State will provide any assistance requested by our colleagues in Southern Nevada." At University Medical Center, three people remain critical, 2 in serious condition while the 10 other victims have been discharged. Oregon's Pacific University had four of its students with non-life threatening injuries. The students are members of Pacific's men's wrestling team, which was in Las Vegas to compete in the Wartburg Desert Duals on Monday. They will no longer be competing. The team, comprised of 19 student-athletes and coaches, were walking together when the incident occurred. Three of the four injured students were transported to a local hospital, two of whom were later released. The other student has been kept overnight for observation. The crash closed a portion of the Strip until 5 a.m. Monday following the crash around 6:40 p.m. Sunday. This is a developing story. Check back to Action News for updates.